Dave Portnoy, the founder of Barstool Sports, is known for making ​big bets on sporting events. To open the NCAA Tournament, Portnoy was live streaming from the ​FanDuel Sportsbook in East Rutherford, NJ, and while there, he placed what is likely one of many large wagers on today's March Madness tournament games. Portnoy laid down $33,000 on the No. 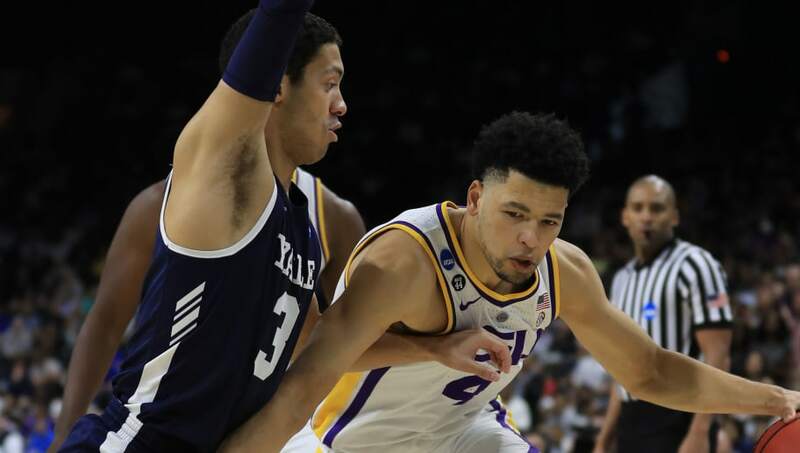 3 seed in the East Region, the LSU Tigers, to cover a 6.5-point spread against 14th-seeded Yale. Needless to say, Yale made a late run and hit a couple of huge 3-pointers to cover in the final seconds of the game, ultimately losing, 79-74. The reaction from the Barstool team was as bleak as you might imagine, after losing that amount of money. But just because one big bet was lost, it doesn't mean another big bet cannot be won. After all, this is March Madness.